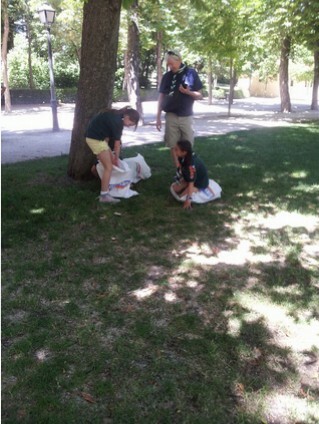 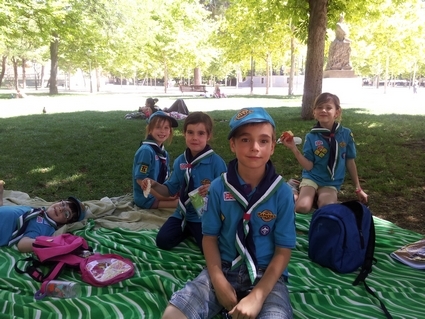 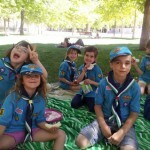 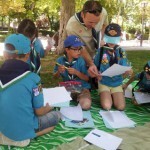 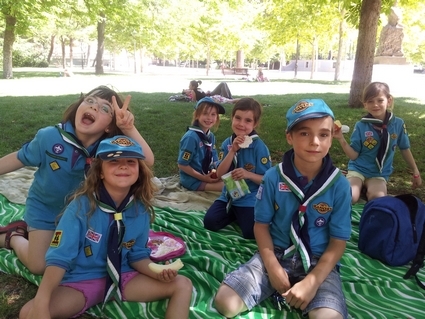 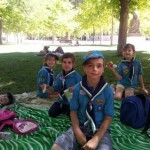 The 3 sections gathered at Retiro park for the last meeting before the summer break. 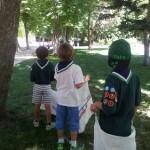 Just a 2 hour meeting because at 5:00 PM the AGM was held by the leaders and the families. 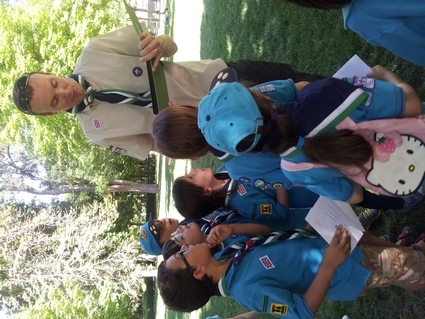 It was a special day for Beavers as Tom, their Leader during the last year, is leaving the Scouts as he has to move to Barcelona. 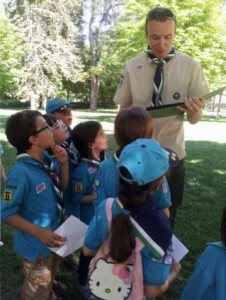 Kids gave him a special leaving gift: a photoalbum with some personal messages and drawings. 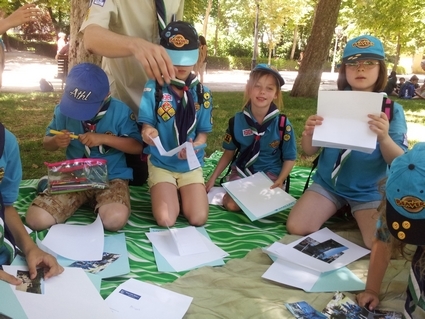 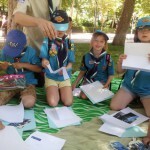 Writing some letters to their penpals at Holy Trinity Scouts troop in Hove, England. 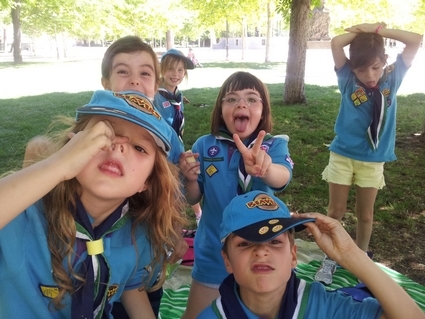 To keep on having FUN!! 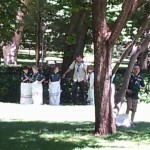 Cubs did some theoretical work relating to the Kayaking activity at camp. 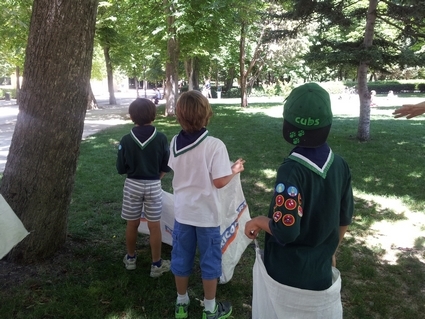 There was a sac race and the leaders set Cubs a challenge to discuss/agree a set of priorities over The Country Code – a requirement for the Outdoor Challenge badge. 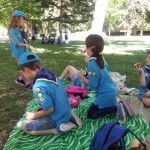 Then they played frisbee, volleyball and football during the AGM. 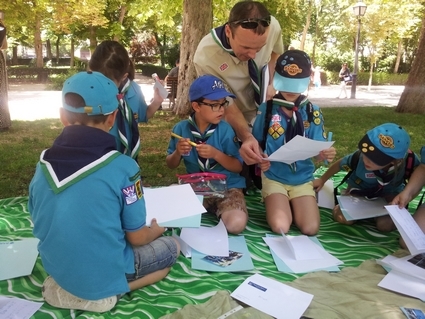 Scouts held a forum to discuss on next year’s goals and objectives for the troop, received feedback on the type of activities. 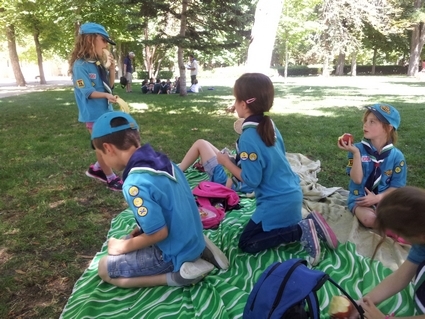 Scouts are interested in doing and set the groups for the proper functioning of the new patrols that will be put in place as the troop increases in size. 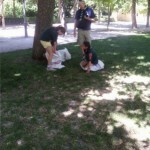 They played Ultimate Frisbee with a very tight score between both teams. 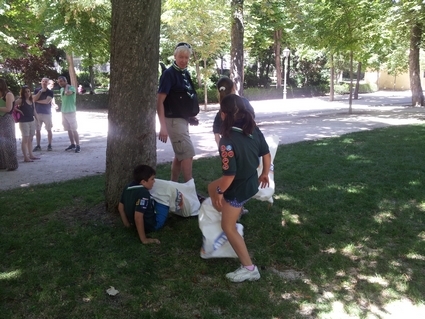 It was a good challenge and everyone had a great deal of fun. 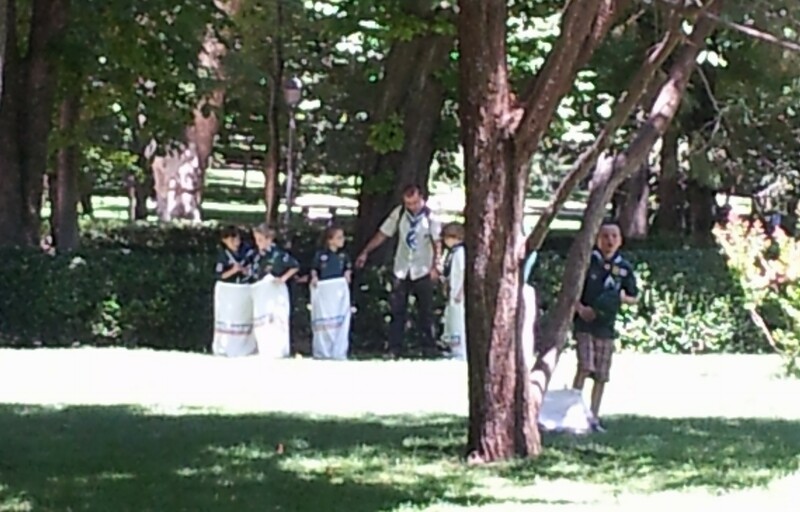 The Scouts then started a volleyball match to which the Cubs later joined.